Lok Sabha Election 2019: "We have received the report. It is under examination," Deputy Election Commissioner Chandra Bhushan Kumar said in Delhi. 2019 Indian General Election: Election Commission referred to PM's remark in Maharashtra's Latur. Addressing a rally in Ausa in Maharashtra's Latur on April 9, PM Modi said, "Can your first vote be dedicated to those who carried out the air strike." "I want to tell the first-time voters: can your first vote be dedicated to the veer jawans (valiant soldiers) who carried out the air strike in Pakistan. Can your first vote be dedicated to the veer shaheed (brave martyrs) of Pulwama (terror attack)," PM Modi said. "We have received the report. 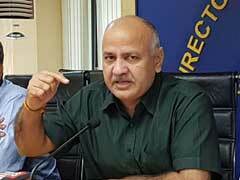 It is under examination," Deputy Election Commissioner Chandra Bhushan Kumar said in Delhi.